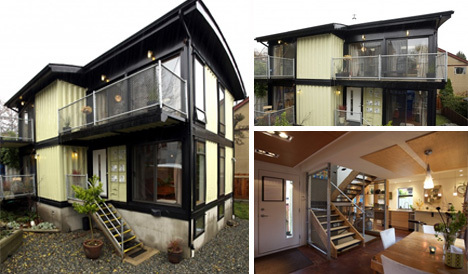 Balancing the utilitarian industrial history of shipping containers with the comfort demands of the modern home dweller can’t be easy, but Keith Dewey of Zigloo made it look natural with the Zigloo Domestique. He decided not to paint the exterior like a traditional house, but rather to leave it the seafoam green that’s characteristic of many shipping containers. The fence around the house is made of deconstructed shipping container panels, giving a smooth yet industrial flow to the entire property.